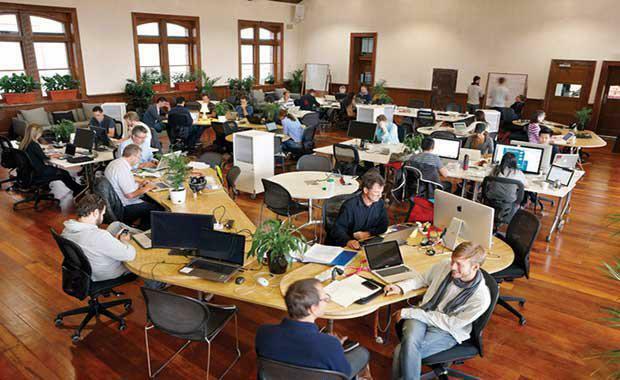 As workplace strategies have shifted from the traditional office model to Activity Based Working (ABW), the workspace allocation per employee has dropped from approximately 25 square metres in the 1980’s to 12 square metres or less under ABW workplaces today. Many new builds are now planning for only 8-10 square metres of office space per person. A JLL paper, titled Future proofing your asset to attract new tenants – A guide for building owners outlines a number of implications for older buildings if occupation densities are varied and a building’s population increases, as investment may be required in the base building infrastructure and other facilities. The shift towards occupant densities of 8-10 square metres per person will place a substantial additional load upon B and C-grade buildings which typically have been designed for ratios of 15-20 square metres per person. With PCA figures showing that more than 60% of commercial buildings in Australia are classed as B, C & D-grade, these older buildings need to keep pace with changes in workplace strategies and building technology or risk becoming obsolete. 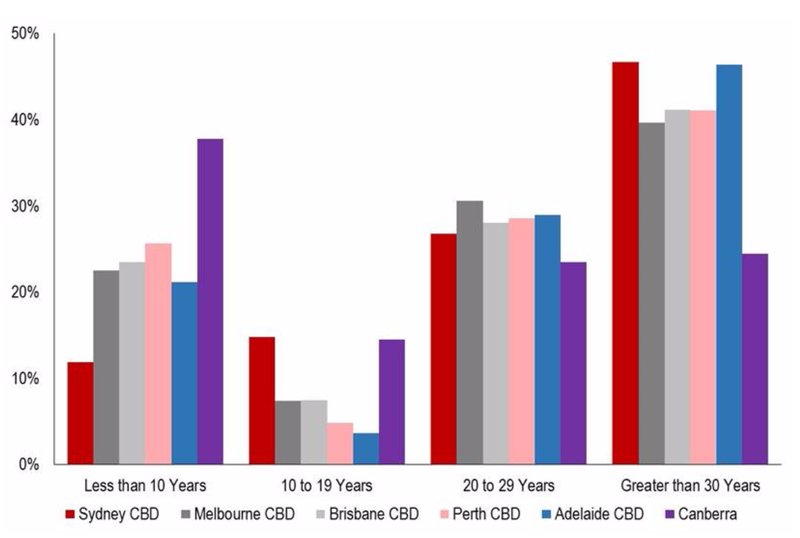 JLL Research figures for 2016 show that 47% of commercial office stock in Sydney is over 30 years old, 40% in Melbourne, 41% In Brisbane, 41% in Perth, 46% in Adelaide and 24% in Canberra. Workplace strategies like ABW impacting on Australia’s stock of commercial buildings. JLL State Manager for NSW Project & Development Services said new workplace models have typically only been implemented in A-grade office space. "However, strategic investment into a B or C-grade building to make it more efficient will widen the appeal of the building to a broader range of tenants and future-proof the asset as workplace and technology trends become entrenched in the market. “Upgrades of existing buildings to suit agile working environments can be completed while the building remains occupied, with careful planning and execution“The internal rate of return (IRR) on investment on upgrades varies depending on circumstances of particular projects, however is typically of the order of 10-20% per annum. “Buildings that have successfully upgraded services and activated the common areas can attract a broader tenant pool and also improve the overall rental achieved and capitalisation rate of the building, thereby providing incremental value uplift to owners. “Upgrading B and C-grade buildings to create modern, sustainable and healthy workplace amenity by providing the services, technology and facilities that tenants are increasingly seeking can only improve investment returns for owners,” said Mr Mason.